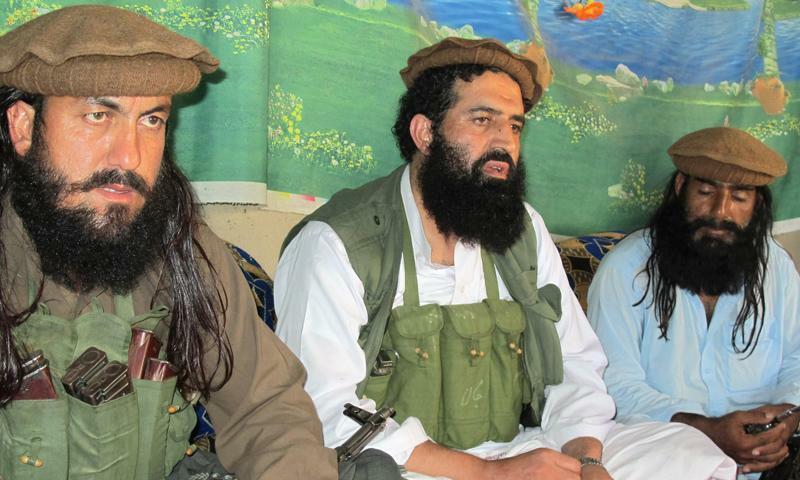 PESHAWAR/ISLAMABAD: The outlawed Tehreek-i-Taliban Pakistan militant organisation on Saturday announced a month-long ceasefire, a development likely to break a deadlock in peace talks with the Pakistani government. According to TTP spokesman Shahidullah Shahid, the umbrella organisation has directed all groups to honour the ceasefire. “The government gave a positive reply to the recommendations we gave our negotiations committee for ending the deadlock in peace talks, and we have been given satisfactory assurance that the recommendations will be implemented,” the TTP spokesman said. He said that the TTP top leadership has directed all groups to fully honour the ceasefire with the government, and to “refrain from all Jihadi activities during this period”. Sources told Dawn.com that the the TTP leadership took the decision after consultation with members of the Taliban nominated committee for peace talks. 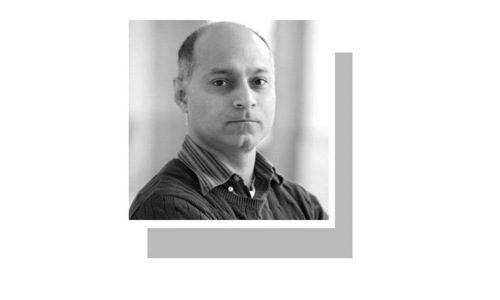 The TTP, an umbrella group of several militant factions, has waged a bloody seven-year war against the Pakistani state, leaving thousands dead in the violence. Peace talks between the government and Taliban struck an impasse last month after the Taliban-linked militants murdered 23 kidnapped Pakistani soldiers. The killings resulted in multiple targeted airstrikes by the military against suspected hideouts in the tribal northwest. 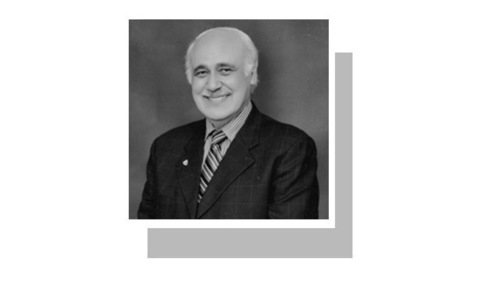 Meanwhile, the coordinator of the government committee for peace talks, Irfan Siddiqui, welcomed the announcement by the militant group. He however said that they were waiting to receive a formal message from the Taliban talks committee. Siddiqui said that if the Taliban are serious in peace talks and the announcement of the ceasefire, then the development would bring the suspended negotiation process back on the track. He said that, after the Taliban mediators formally inform them, the government committee would soon hold a meeting to decide on their next step. —With reporting by Zahir Shah Sherazi from Peshawar and Mateen Haider in Islamabad. What about those whom they killed today ? The ISI, Army and the Government need to realize that this band of thugs which was created to fight against Russia, India and wherever else the ISI needed pit bulls, is now a rabid animal gone rogue. Contain it now .....for your good, citizens good and world peace! Every day we delay an operations this serpent would grow in size. Open your eyes Pakistan!!! Thank you My Lord! for the crumbs! This will give these terrorists a chance to regroup. But the government will continue making childish statements and will never take the matter seriously. Are you joking? A little bombardment from the airforce and now they are begging for a ceasefire. They are just going to use this time to recover, regroup and relocate. After that they will be back to their usual bloodshedding ways. its called 'regrouping"... they are snakes, and snake cannot change its nature. So, finally fear is creeping into you ha! You cowards you killed the unarmed innocent civilians in thousands and now trying to save your soul......vanish off from the surface of this earth. What a joke. A ceasefire just so that you can regroup, these are all excuses. These guys understand only one language and we can hope they have understood that they dont stand a chance once the state machinery comes down with all guns blazing - but you also have to agree that a dogs tail cant be straightened....these guys cannot be reformed...this is evident from the language they use. Yup. A month long cease fire to regroup and spread their operatives deep into Pakistan proper, ready to explode. Then, they will suddenly remember again that Pakistani constitution is not Islamic and therefore it is necessary to blow bazaars, masjids, funerals and especially those detestable schools where kids go. Nothing short of laying down their arms is trustworthy. That should be long enough to replenish and regroup for another onslaught. It looks like the public pressure and surgical strikes finally paid off. They had very little moral ground anyways and with the expedition of murdering 23 soldiers they made it extremely difficult for their sympathizers to support them in their stance regarding peace talks. Lets just hope that permanent peace comes through dialogue, regardless of the skeptics out there, residing on both fringes of society, namely extremely liberal or extremely conservative. If Pakistan govt doesn't check militant outfits operating along the Pak-Afghan border, they may topple the govt - God forbid - one day. So far the government has worn a supine (=inactive; not willing to act) attitude towards tackling terrorism. But now the prime minister should authorize pre-emptive (=preventive; deterrent) air strikes against the enemies of the state. The military should launch action against terrorists holed up (=hide) in North Wazi ristan and uproot them. TTP must be feeling the heat. Government should keep up the pressure. These people have respect for human life. Talking to them is useless. Moreover, government has already said they have to respect the Constitution and accept government's writ over the entire country. Now Government should not back down. I strongly oppose bringing any cessation in the air strikes against the talebans. they cannot be relied upon. it clearly shows that they don't understand any language except that of the baton. Chaudhry Nisar Sahab has said that continuing with the peace talks would be injustice to the victims' families. He is right in that. I would request Chaudhary Sahab that it is his tenure that we are seeing that talebans have been dealt with appropriately. The previous government of zardari DID NOTHING AT ALL. We have very high respect for you Chaudhry Nisar and expect that you would understand the fears and agonies of the masses. We want the talebans to be killed NOTHING LESS THAN THAT. TTP declared Ceasefire, because they wants some time for hiding place. Did they make this announcement just before or just after 11 polio vaccination team workers were bombed and killed? What about the attack in Balochistan? I'ld say they want Pakistan to stop attacking their hideouts. Don't fall for it. Keep on strafing and bombing them until they have stopped for a month and vow to stop forever. One week's additional bombing and they will offer arrests. BOMB SAB SEH UNCHA BOLTA HAI, yeh aam zabaan nahi smajteh hain...pity they did not listen in the 1st place and be sincere about peace...as for me i still dont believe them...i am afraid. They are not friends to Pakistan, its another trap. They want to buy time before any proper policy comes out from neighbor Afghanistan. Please, for heavens and the victims of terrorism's sake, STOP wasting your time by talking to TERRORISTS. Pakistani Taliban must be ANNIHILATED and that is the only solution from preventing death of another innocent life! Do NOT give them a chance to regroup, recruit and arm themselves with more Indian weapons. Are you again buying into this? This is how ceasefire is announced http://aje.me/1pJKGV4. Do not believe a word of it. These killers are buying time only, so they can regroup and move the arms and fighting men. " Latoon key bhoot baton se nahi mantey ". They are cracking sooner than I thought. The government is well advised to ignore these pleas. 1 month is all they need to dig in their fortifications recently destroyed by PAF. Time to finish this menace once and for all. As a concerned citizen, I don't like it. Its like poor reality show based wrestling match, where after getting some serious blows, the giant asks for some time to make his next lethal move. Government Officials are stupid to think that TTP has announce a Ceasefire. TTP is directing all TTP affiliated group to stop attack, but not ordering them. TTP has no control over different chapter of TTP. Good Luck with negotiation. Do not listen to their offer of the cease-fire - they just killed the polio team. No ceasefire. Complete unconditional surrender is the only option for TTP. "announce a month long cease fire" ??!! With who .....The innocent civilians? The nation demands protection against these low life's and thugs from the government. Have these mice gather at a jirga and do what they do to them what they have been doing to our security forces. One Month Ceasefire, so they can stack ammo! If these stupid so called Taliban are interested that should ceasefire for 12 months. Recent Pak army surgical strikes have inflicted heavy damage to them, these strikes should continue and must be extended to Afghan border. We cannot fight terrorism just by defending, it has to be eliminated from its root and surgical strikes extending to Afghanistan is the solution. Don't believe the Taliban or its ceasefire. The Army should consolidate its positions and identify the locations where these elements are hiding. The talks will never be successful with the forces who don't know the value of life, human dignity, freedom. Now that the army has attacked TTP targets, they want to gain some time and then re-group to launch strikes and murder people. The government SHOULD NOT accept the cease-fire now and should continue to eradicate this menace. 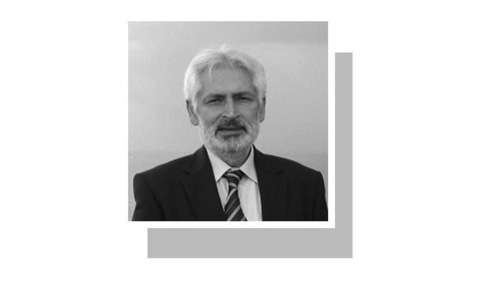 TTP understands only the language of force. Only after precision strikes did they announce their ceasefire, in a bid to scatter and regroup. I don't think the govt should accept their offer, and should carry on with the strikes instead. TTP is outlawed and banned, in the first place, and you don't negotiate with outlaws. These murderers only understand the force of a F-16 or a Drone showering them with real fire. Pakistani government should not be fooled by this cease fire, Our soldiers shadats should not be forgotten. These Taliban animals should be treated exactly the way they deserve which is a military operation which should completely wiped them out. Waziristan and all that crap of FATA should be placed under Pakistan's regular judicial system. These idiots can not protect their lands nor their citizens then these idiotic rules should be changed immediately. They still have no schools and no medical facilities. All they do and teach their children is terrorism. Announcing ceasefire for one month?Not agood option.This is just to stop Military strikes and to regroup and change their Base locations.I hope the Govt knows what it is doing.its just like pulling the string and then let go.I don't trust these SNAKES for a moment. It shows how effective the strikes were. They should handover the criminals for legal process. Continuing with targeted strikes will help to contain them. Any leniency at this time will be a betrayal with the martyrs and the nation. Good development. May Allah bring peace to our country. The question should be - can they be trusted? In the past as well, they have given such assurances and soon we find out they had conducted another terrorist act. This is a group that never be trusted and maybe they are looking for some time to group their people again, before they start their killing rampage. With several of their members recently dying at the hands of our military, they need time to reorganize. Personally, I think our military should continue with their mission of eliminating these terrorist from the face of our nation. Give the beast a chance. If there is one single attack by any militant or terrorist government should promptly respond in appropriate manner regardless whether the peace talks is derailed, Those who do not follow the words of Allah and Rasool may not care about their own words as well. And just today, 3 more FC soldiers killed. The army has had enough and hopefully these scum will receive a firm 'no' in reply this time. Their strategy seems to be to use ceasefires to recharge themselves and then go at it again. Their points of weakness should be taken advantage of and now is good time to cripple out these vermin once and for all. Seems the targeted bombing worked. A month should be more than enough time to rearm the F-16s and move in a couple more divisions. Just in case the talks don't work out. it seems the army might have finally figured out how to handle these people. They are doing this so they can hide and run away from the military. What rubbish this is, TTP announcing ceasefire? They need to lay arms and announce an unconditional surrender. The Govt. and military must not fall for this offer. As this is nothing but a ploy to rearm, regroup and commit even more heinous crimes and devastating atrocities. I would question the loyalties of those who claim not be on the side of Taliban yet, would want to support this offer. Taliban announcing ceasefire for a month - It is a good omen, that for the moment they can't see light at the end of the tunnel - they are cornered. Now the army and the Government should stay the course and don't let go the pressure. If one looks at the history of TTP (anyone can look at their previous record in Dawn or other papers), TTP has always tried to get some time, when they are in pressure, then regrouped and started killing innocent people again. It is just their time tested strategy. 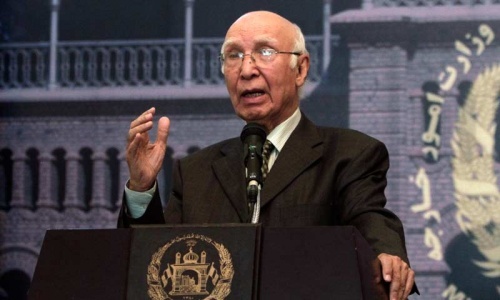 Taliban can announce a permanent ceasefire when Pakistan Armed Forces finish the mission and killing all the Taleban. 30 day ceasefire is not enough, if the Pakistan Armed forces missions got 30 day ceasefire, increase the intensity to get a permanent ceasefire. Yes, of course taliban want peace when Pakistan army is taking action against them. They forget that if you live by sword you die by sword. Pakstan Army show no mercy, now is the time to assert yourself. Looks as if TTP needs time to relocate key people from exposed and leaked location to elsewhere. Considering how senseless killer they are, highly likely TTP will continue with their rotten faith and belief. I have all my doubts because first they are not a position to decide on such matters and secondly their masters will not change their position as regard to our existence and peace in the area. Cease fire with these animals ? Forces and Government SHOULD understand that this is winter season, if forces attack they cannot go out and hide themselves due to cold weather, but as snow melts and weather gets better they will start THEIR ACTIVITIES. They want to buy the time ONLY.....if governemt delays and forces dont take any strict action, then no one can stop them in hot weather...THE QUESTION IS TO ALL....WHY CEASE FIRE ONLY ONE MONTH...WHY NOT FOREVER...?? Let me see if I got this right. A guy has killed his neighbor, beaten his family, robbed a market, sold narcotics and kidnapped people. He has killed children, and he has killed folks in a mosque and at a funeral. He has also killed a policeman. Now he says he will stop doing those things for exactly one month, if the police will please stop chasing him. The police are not fools. They have a job to do. They have to get him. No more talks with brutes! Look at their faces they are a bunch of rogues who only want some time to re-group and launch fresh assaults. Going only by what we have faced in India - through the tacit interests of many a organizations who once upon a time controlled the Taliban but now seem to have lost control - they never will give up they will use this time to build themselves up materially, financially and numerically and the bloody days will return to haunt you again. Look at SriLanka if they can do it so can Pakistan to save itself from being destroyed and save a common man from being scared to leave his house or watch TV or read a magazine speak to a girl or let his daughter, sister or wife be educated. Nawaz ji kuch mazboot kar ke dikhayen. And let the army be used here rather than waste time on borders with India who has no intention of violating Pakistan's territorial integrity. We don't need a "month-long ceasefire" - we require a permanent ceasefire! And if you don't voluntarily provide it, we will eliminate you. That is what our government and military should be saying to the Talibans. They are only buying time now that they have suffered some losses. What about the attack on polio workers just yesterday? Or the attack on FC in Khyber today? Is that the ceasefire? 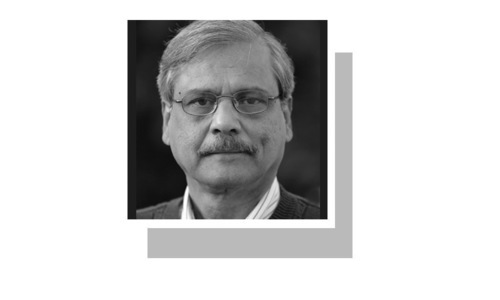 To the TTP, ceasefire only means not officially taking responsibility, which seems to be all it takes to make the government happy. Fact is, Nawaz Sharif is dithering, confused, and indecisive while the TTP are focused and taking the initiative every time.